* possibly caused the U.S. to modify its own nuclear weapons plans, and, well, you get the picture. Or so said the CIA in talking points prepared for then-National Security Adviser and Hyperbolist-in-Chief Condoleezza Rice for a meeting with New York Times personnel in April 2003 in a successful effort to kill Risen’s story about Merlin. Risen subsequently reported the botched Iranian nuclear plan in his 2006 book “State of War,” much to the embarrassment of the CIA (and the New York Times editors who had killed his original piece). There is only one thing wrong with the prosecution’s narrative about the dire consequences caused by James Risen’s book and Sterling’s alleged leaks — it is almost completely evidence-free. Pressed by defense attorneys over the last two weeks, the various employees of the national security state could cite no one who had been killed or hurt as a result of the disclosures in Risen’s book, which came out nine years ago — more than enough time for the predicted cataclysm to occur. Typical this week was the testimony of former CIA official David Shedd, currently the acting director of the Defense Intelligence Agency, who pointed to many dire potential results of the Risen book’s now-aging disclosures. He called the leak “a breach of security that potentially would affect similar operations,” and warned that such a leak “could require modification” of U.S. nuclear plans — apparently because the bogus plans had good stuff in them that, warts and all, provided tips about the U.S. program. Which only underscores the craziness: If there is good stuff in the flawed plans, why would you want to peddle them to Iran or any other country you consider an adversary? For the government’s case, of course, it is enough to talk of potential harm rather than actual harm to national security, something prosecutor Eric Olshan did so skillfully in his closing argument. Add to that the factor of a lot of intelligence community people telling the jury that we all should be more than a little frightened because a cockamamie, dangerous CIA plot was exposed. That helps sweeten the pot, and could be enough to persuade some jurors despite the absence of facts. And have a Bush administration superstar like Condi Rice spin more tall tales about WMDs, this time in Iran. When you don’t have evidence in a national security whistleblowing case, scare them. FBI special agent Ashley Hunt, who has led the FBI investigation of the Merlin leak for more than a decade, presented the strongest circumstantial evidence against Sterling — the aforementioned chronology. MacMahon got her to acknowledge that she did not pursue — or was blocked from pursuing — certain paths of inquiry that might have turned up other suspects as the source of the Merlin information that Risen received. Two former staffers from the SSIC who met with Sterling in March 2003, when he brought what they and other prosecution witnesses have described as a whistleblowing complaint about the Merlin scheme, did testify as prosecution witnesses at Sterling’s trial. 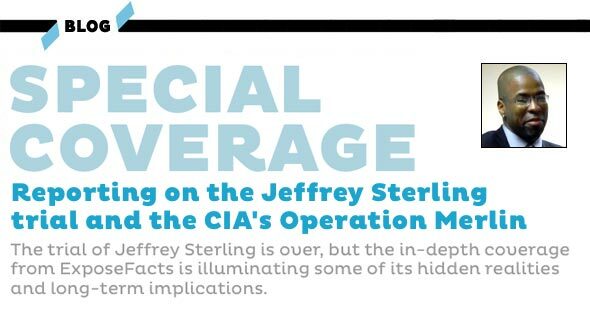 Under questioning, they provided testimony helpful to Sterling that showed that Risen, indeed, apparently had sources on the committee — a committee that was already familiar with Operation Merlin even before Sterling came to them with his concerns. The other former staffer, Vicki Divoll, was fired from the committee after providing non-classified information to a Judiciary Committee staffer on a contentious intelligence authorization bill matter, only to see that information (which was embarrassing to the Republicans) trumpeted the next day in a front-page New York Times story written by — James Risen. She testified she had never spoken to Risen on any matter, but that others on the committee had dealt with Risen from time to time. Defense attorneys hammered on the point through testimony from these prosecution witnesses that despite Risen’s sources and potential sources in both the CIA and on Capitol Hill (including right on the SSCI), none had had their residences searched, their computer’s contents analyzed, their telephone call logs examined, their bank and credit card records searched — as had been the case with Sterling. 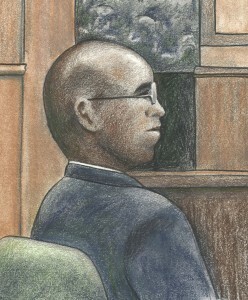 Given the flimsiness of the case presented against Sterling, it would be a tragic miscarriage of justice if he were to be convicted and face a long prison sentence on the basis of nothing more than inferences — and the fears of nuclear nightmares the government says can ensue because of the Operation Merlin disclosures. John Hanrahan is a former executive director of The Fund for Investigative Journalism and reporter for The Washington Post, The Washington Star, UPI and other news organizations. He also has extensive experience as a legal investigator. Hanrahan is the author of Government by Contract and co-author of Lost Frontier: The Marketing of Alaska. He has written extensively for NiemanWatchdog.org, a project of the Nieman Foundation for Journalism at Harvard University.